Born at R.A.F Cosford, Catherine grew up in Worcestershire and now lives in the Black Country. She studied at Bournville College of Art and has a degree in Printed Textiles from Loughborough College of Art and Design and a P.G.C.E in Art and Design. With a background in printed textiles Catherine has an affinity with pattern, composition and colour. 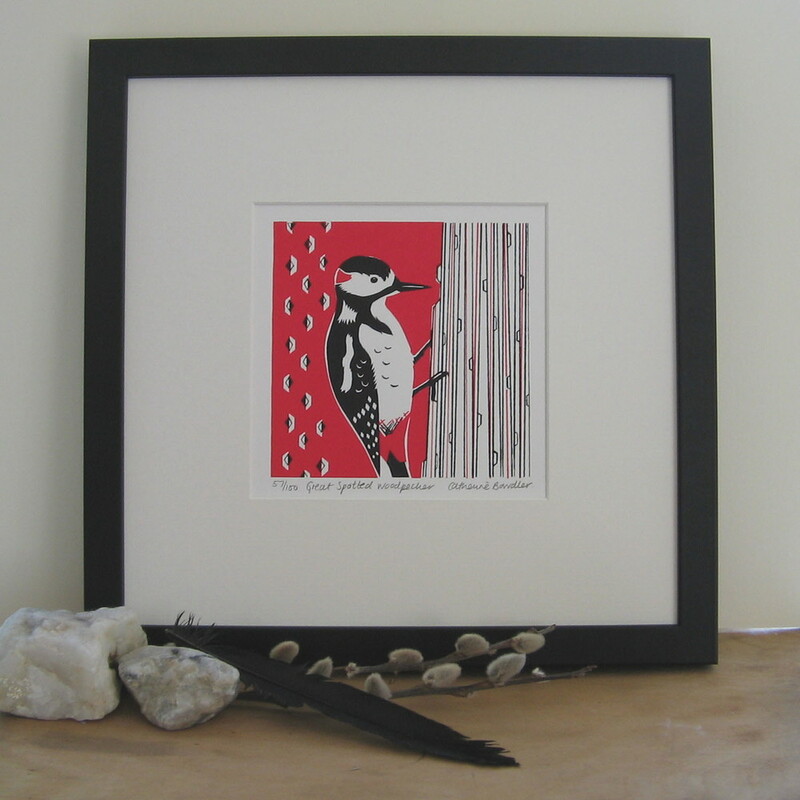 Catherine produces striking designs inspired by the natural world, in particular featuring some of her favourite British birds. Now creating works on paper, Catherine is able to make affordable prints in low editions that compliment both modern and traditional interiors. Catherine collects mid century vintage fabrics and this period of design has long been a reference point, but over the last few years the balance and ingenuity of Japanese textiles has really gripped Catherine’s imagination. These influences infuse a subtle flavour to the work. She uses a workshop in Digbeth near the famous Custard Factory and hand prints her work in her 1950s English Rose kitchen. The works illustrated below are intended to give you a taste of what the gallery has to offer, please email us on info@cambridgegallery.co.uk or call us on 01223 324222 to find out which pieces are currently available. Prices range from £20-£110.